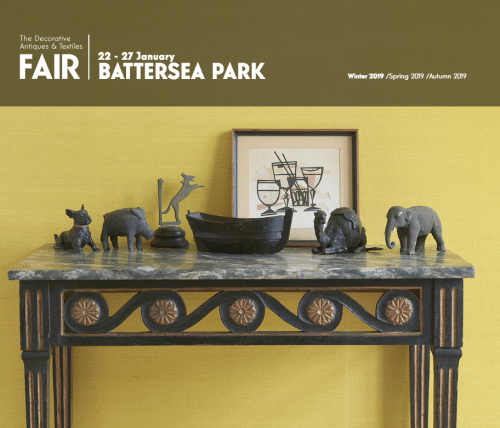 Please join us in our usual place Stand A18 at the Decorative Antiques and Textile Fair, Battersea Park. The fair is open from 22nd – 27th January 2019. Do contact us if you would like a complimentary ticket. For opening times and visitor information click here or find directions and a map here – we look forward to seeing you.